This Vintage Rolex Sea-Dweller 1665 MK4 features the latest dial version of the reference 1665 and dates to 1983. Until 1954 Submariner's depth rating of 600ft or 200m was the highest of all wristwatches. Rolex managed to triple this value to 610m (2000ft) with the Sea-Dweller. At the time, that was a groundbreaking masterpiece which made Rolex the leading manufacturer of diver’s watches. 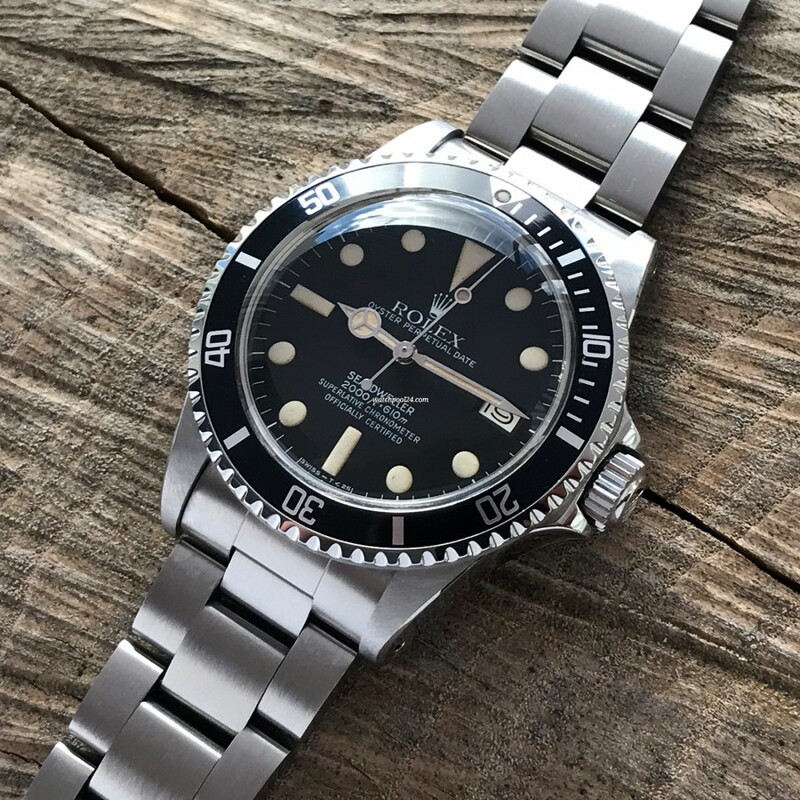 This particular Rolex Sea-Dweller 1665 is from 1983 and has the MK4 dial. Its matte, black surface is in excellent condition without any flaws. The original, fully intact lume has aged to a slightly darker tone, which matches in hour markers and hands. The Oyster stainless steel case is in very good condition and has sharp edges. Also, the black rotating bezel is in very good condition and is rotatable in both directions with ease. The watch is powered by the original Rolex COSC 1570 movement. The original Rolex Oyster stainless steel bracelet matches the same time period with the reference 93150 and endlinks 585. The Vintage Rolex Sea-Dweller 1665 is a true watch icon, which will give you a lot of pleasure every day.